During the summer season, Tunisians suffer from drinking water supply problems. The commissioning in May 2018 of the water desalination plant in Djerba sounds like a relief for the "dream island". The other coastal cities are not forgotten. The Tunisian Minister of Agriculture, Water Resources and Fisheries has just completed a visit to Medenine, in the south-west of the country. Samir Taieb took the opportunity to review the construction project for the desalination plant in Djerba. Engineers from the National Company for Water Use and Distribution, known by its French acronym as Sonede, will move into the experimental or semi-industrial walking phase by the end of April 2018. Regarding the actual commissioning, Samir Taieb said it would be mid-May. 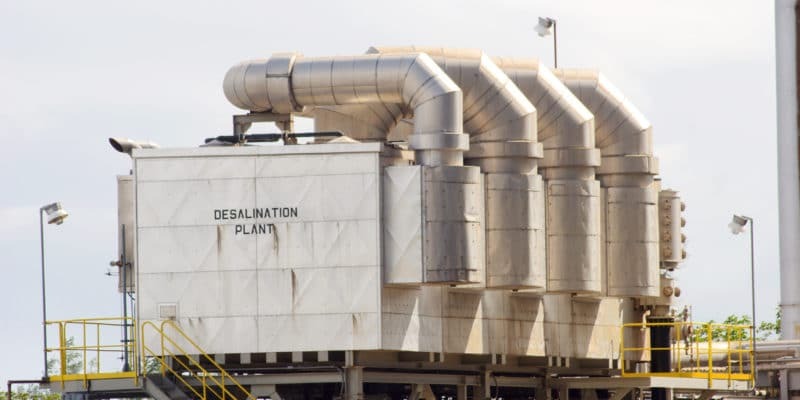 According to Mosbah Helali, general manager of Sonede, the water desalination plant in Djerba will allow a daily production of 50 000 m3. The treated water here will mainly be destined for the cities of Djerba and Zarzis. Earlier this year, the People’s Representatives Assembly (PRA) was considering the draft law approving the exchange of memorandum between the Tunisian and Japanese governments. It concerned another project: the construction of a water desalination plant financed by Japan in Sfax, in the east of the country. Japan is investing in 12 similar projects in Tunisia, including the desalination plant in Zarat, Gabès and Sousse. The German Development Bank (KFW) is also involved in these projects, financing the delivery of desalinated water to the interior of the country. On the 19th of April 2017, the PRA adopted a draft law approving the loan contract concluded on November 29, 2016 between the Tunisian government and KFW to finance the project to build a seawater desalination plant in Zarat. The loan amounts to 82 million euros and will be repaid over 15 years. The total cost of this project is estimated at €95.5 million. The Tunisian state is contributing 14.5 million euros. This desalination plant will produce 50,000 m3 of water per day.